This past weekend, at a conference (“2017 Fatima Centennial Summit”) in Dallas, Cardinal Raymond Burke once again spoke about the consecration of Russia. At present, a transcript of the entire address is not available, but based on a report filed by LifeSite News, it appears as though Cardinal Burke more or less recycled the address that he gave at the Roman Life Forum back in May. What does he mean by “Our Lady accepted it”? To repeat, the consecration I called for is in no way to call into question what Sr. Lucia said about St. John Paul II fulfilling what Our Lady asked for. Yes, it has been done just as Our Lady asked, on 25 March 1984. The consecration of Russia was not carried out in the manner requested by Our Lady, but it has been done just as Our Lady asked back in 1984, and what’s more, she accepted it! What could possibly move an otherwise intelligent man to make such diametrically opposed claims; even in the course of a single presentation? Is it a form of dementia, or perhaps a deliberate act of duplicity? In my opinion, it is neither. 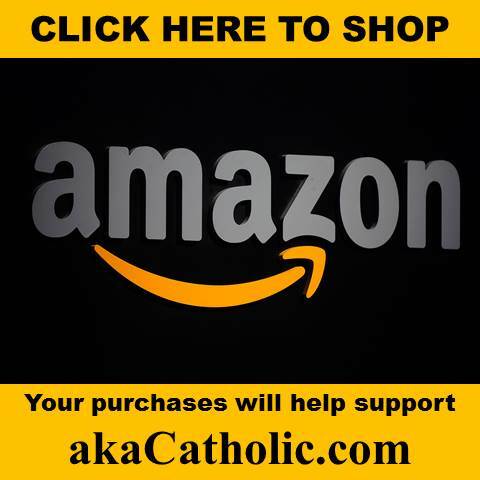 What we are witnessing is nothing less than diabolical disorientation; a spiritual disease that necessarily infects those who, like Cardinal Raymond Burke, have “sold their soul,” so to speak, to the Second Vatican Council. At heart, such men as these are members, not so much of the Holy Roman Catholic Church, but rather of the church-of-man that was born roughly five decades ago at the so-called new Pentecost. The object of their devotion, therefore, is not, in spite of any intentions to the contrary, the God-man Jesus Christ, but ultimately rather mere men; most notably, the post-conciliar popes. This is why Cardinal Burke simply cannot accept the idea that John Paul the Great Ecumenist; the man who bears more responsibility than any other human being for the Vatican’s well-orchestrated campaign to bury the Fatima message, is anything other than a “Saintly” example of faithfulness to Our Lady. This is also why, in his Wanderer interview, Burke was so adamant about upholding the company line that was set in stone during his pontificate (re: the fake Sr. Lucia letter). Oh, yes, we must play it again, Sam, because, apparently, while the consecration has been done just as Our Lady requested and she accepted it, for some reason she has chosen to withhold the blessings that she promised to deliver in return. How many more times does Cardinal Burke have to publicly suggest that Our Lady is a liar before certain self-coronated members of traditional Catholic media royalty stand up in her defense? As of this writing, neither Christopher Ferrara at the new Fatima Center nor Michael Matt at the Remnant have weighed-in, but given their reaction to similar comments made by Cardinal Burke at the Roman Life Forum, we may well expect them to once again gush like school girls at a Justin Bieber concert. Really? In exactly what way is it intellectually honest to insist upon the blatant contradictions mentioned above? Michael Matt, for his part, saw fit to declare that Burke’s address represented the “total vindication” of Fr. Nicholas Gruner! Seriously? How exactly is Fr. Gruner vindicated by a high-profile cardinal who publicly suggests that Our Lady, about whom the “Fatima priest” could barely speak without being moved to tears of genuine affection, is a liar? What both of these men have in common is that while neither one can be considered a man-of-the-council, they have, in this case, succumbed to the man-centered cult-of-personality that it engenders; with their devotion to the person of Raymond Burke taking precedence over their duty to defend the truth about Our Lady and her message. Is it time to denounce one of the last cardinals in the world who’s resisting the errors of Pope Francis? Notice the inability to distinguish between criticizing a ridiculous assault against the SSPX and denouncing the person of Cardinal Burke himself? There is no need to humiliate the man. Yes, how dare we stand up for Our Lady when doing so might embarrass Raymond. Look, I know… By pointing these things out, I am inviting criticism from those who will accuse me of launching a personal attack against men who have done a lot of good over the years. The fact is, however, this isn’t personal; although, I must admit that I am bitterly disappointed in both of these guys on a personal level – not for making a mistake, we all do that – but for the way in which each of them has seen fit to publicly accuse me of ill-will. Shame on me. I had thought better of them. There can be no arguing the fact that both Matt and Ferrara have done a great deal of good for the Church in the past, and I’ll say it again – I don’t doubt in the least that it is their sincere intention to continue doing so presently. 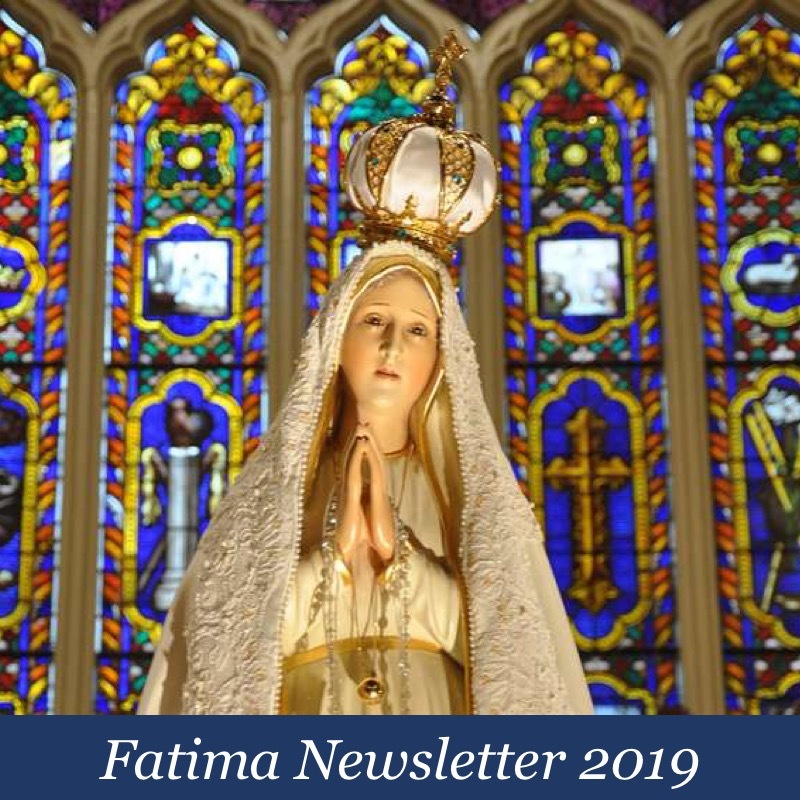 At the same time, as their recent conduct indicates, neither one can be trusted to defend the truth about Our Lady and the message of Fatima in all of its integrity. As such, there can be no doubt that they, just like their idol Cardinal Raymond Burke, are misleading the innocent and the naïve. As our friend and frequent commenter Alphonsus Jr. once wisely suggested, pointing this danger out is necessary for one and one reason alone; for the good of souls. So, how many more times does Cardinal Burke have to publicly suggest that Our Lady is a liar before Michael and Chris stand up in her defense by denouncing, in no uncertain terms, this grave offense against the Mother of Our Lord? Let us hope and pray (literally, for both of them) that they will do so very soon. 100% agree! Thanks for being a voice of truth and reason! God Bless! That’s a key point. We have to be willing to suffer the pain of losing friends, even great friends. Even family. Such is the way of the cross. It sounds like you’re “…launching a personal attack against men who have done a lot of good over the years” and that “… this isn’t personal; although, I must admit that I am bitterly disappointed in both of these guys on a personal level…” It isn’t personal except that it is. This sounds like what you’re accusing Cardinal Burke of doing, Louie. Say it ain’t so. There is nothing personal about it. He is simply pointing out contradictory, obfuscatory,, and inverted positions. This is what good Catholic journalists do. False Friends of Fatima, by Christpher A Ferrara……how quickly he has forgotten! It really is so strange. I think Louie is right: only diabolical disorientation can explain it. I have read Chris Ferrara’s book: “The Secret Still Hidden” a number of times. It is meticulous and well-presented in respect of making the case that the full text of the Third Secret of Fatima (the words of Our Lady which must have accompanied the vision) has yet to be revealed. And, although it was not the prime subject of the book, it was clear that Chris made a case for the proposition that the Consecration of Russia, as required by Our Lady, was not done by Pope Saint John Paul II. 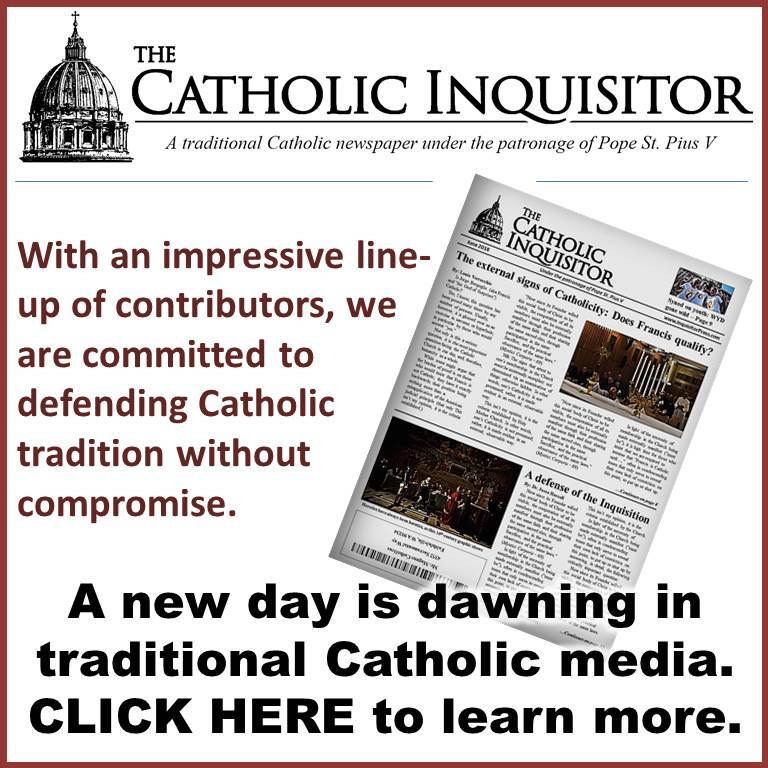 The assertion that the 1984 ‘consecration’ had ‘been accepted’ by Our Lady was also debunked. Thank you for saying it, Louie. Thank you for sharing your excellent article. I have read a theory that Pope Pius XII consecrated Russia, by name, to the Immaculate Heart of Mary on July 7, 1952. The theory claims that the request was made by Our Lady to have all the bishops participate but that it was none-the-less accepted by Our Lady even though it was not done in the exact form requested and late. Thus, the promise of Our Lady was granted since Russia converted from its Communism. This would mean that the conversion of Russia was not to Catholicism but only from Communism. This would also solve the problem for Sedes since a true Pope would have already done the consecration and a future consecration is no longer needed. (11) Our Lady of Fatima, MacMillion, First Edition 1947, p. 226, by William Thomas Walsh, indicates the conversion of Russia referred by Our Lady was conversion out of Communism since this is the error that needed to be corrected by the papal consecration before it spreads to every nation. Well if you look at how historically Russia spread her errors and how western nations have adopted the virtues of these errors over the past few decades, to know these errors, you have to research the details of the virtues and belief of communism, with number one being atheism in the sense of rejecting God and turning to manwoeprship instead, You will come to realize that her errors has spread even into democracies world wide, and it’s gaining more popularity by the day. although that may come as well, as society is certainly warming up to it. You take for example Vladimir Lenon like Kim Young un in North Korea was looked upon as a man to be worshiped, the saviours of communism. Do this remind you of the heresy of modernism? It certainly holds this in common with man worship. Two humanist religions bonded together by the same principal belief. One of the church fathers once said that the antichrist will deceive many by portraying himself as a great humanitarian, and believing in God at the same time. When one looks at the condition of society it is alarming at how mankind is ripening to recieve such a person, after all humanity is much spoken of these days, to the point that it; defends evil as good, and condemns good as evil. Our Lord said even the elect will be deceived if that were possible, and from what we are witnessing in the clergy of the church, it’s certainly going that way. The pope will have to order the bishops to join him in this paprayer as Sr Lucy said to her cousin after 1982 and 84, he did not mention Russia and the bishops did not join him, Our Lady speaks like Our Lord, she does not repeat herself over and over on her instructions. She made them clear it has to be lead by the pope, and when she mentioned in the end the Holy Father will consecrate Russia to Her and it will be converted, she is referring to her request in May 1929. This is not a theory it’s a fact. It is quite clear these people you are referring to either is completely ignorant of the Fatima details in its history or are false friends of Fatima. Their claim to stop a government system, didn’t stop its virtues aka errors from spreading, and this is what Our Lady spoke about her errors. Pope Pius certainly did mention Russia and it must of pleased Our Lady to the point that Almighty God granted a portion of the grace He wills for Russia to have. And eventually communism did implode under economic strain 25 years ago in Russia, but never be fooled communism is still very much alive in Russia. Although Putin is proving to be pro Christian, he left the KGB because as he put it, the government was currupt. And he once said in his early days in politics quote ” communism was a bomb they placed under Mother Russia and it blew up.” End quote. He is considering running for another 12 year term. How fitting it would be if he does as we have now 11 years left to before the centennial year Our Lady gave her formal request to consecrate Russia at Tuy in 1929. Now for a man to say such a thing in government must have his eyes open, especially when speaking from experience. The consecration of Russia from Pope Pius , Some call it a half measure Sadly Our Lady’s full message, part of which is kept from us would, most certainly clear up all of this speculation concerning her message. I urge you to dig deeper, forget opinions of men and listen to Sr Lucy instead who was in direct communication with Our Lord and Lady. Apparently She had a major disagreement with PJPII on this very subject. And shortly after that we got the computer type letter, (note: Sr Lucy never used a computer, didn’t know how to use one. she always penned her letters.) and a change of Heart from Sr Lucy, not by her own words mind you but from Cardinal Bertone. And we all know what he’s all about. I pray and hope that Almighty God will allow us who desire it, live to see the day that Our Lady speaks about ” in the end the Holy Father will do it,[ but it will be late, ] like so many others, we are waiting to see the triumph of Our Lady’s Immaculate Heart, similar to that like St Simeon, waited to see the Lords salvation in the arms of his Holy Mother. by the way things are going right now over at the Vatican, it certainly will be late. So we have a bit of waiting to do still. We are currently in the mist of the battle over the family between Our Lord and the devil. How long this will go on, only the Good Lord knows, but we do know with confidence that the devil will loose hands down. Sorry for the spell correct, man worship. I’m not the best at typing. Did Our Lady say Russia will be converted or that her errors would not spread to the world if the consecration were accepted? May I also add a new volume will surely be added in the near future to included the current historical events and document what is taking place since the death of John Paul II. I’m sure one day we will see such a volume, as the Fatima message including and concerning the final battle between Our Lord and the devil over the family is currently taking place. All one had t do was read CPUSA’a website during the last election or now , to know communism is not dead but has spread it’s errors. Secondly, the same Prelates who wanted us to believe that Our Lady had no idea Pope JP2 would be spared assassination attempts in 1917 and that the Third Secret was in the past , while revealing a vision of the Third Secret in which a Pope is shot dead, begs one to counter their Belief in the entire Fatima message to begin with. Why even quibble about this? If it had been done, there would be libraries of books chronicling every detail of the world-wide, public act of religion performed simultaneously by all the Bishops in the world in union with the Holy Father. There would be furious outrage from the Russian Orthodox. Man-made ecumenism as we know it would collapse at once, along with it all the other synthetic fabrications from the Second Vatican Council. Mass conversions of Russian Orthodox priests to Rome would stun the world. The socialism spread by the USSR all over the world (and the evolutionism upon which it rests) would collapse. There is simply NO WAY the consecration could have taken place without an impossible-to-miss spiritual, social and political earthquake taking place in its wake. Here here ! Well stated, best ever yet. The fear of brutal retaliation was from the USSR in popes past, in all honesty, since 1991 any fear of a Russian Orthodox backlash is a bogus excuse not to do it. There is no comparable reason not to, being Christians it would be difficult for them to be outraged by Our Lady they was the politburo would have. Kind of the same lame line of arguments about how the New Mass fosters ecumenism, when the Russian Patriarch himself favors the Traditional Mass. They are boxing straw men. To Andrew 81, I must thank Louie for pointing out yet another example of Burke’s objective external modernist remarks. Any soul that seeks in anyway to defend the NO V2 sect must at some point offer the pinch of incense to the Cult of Man and compromise the Truth, even if only in a small seemingly insignificant way. Even if just a tiny tiny pinch. Diabolical disorientation. That does seem to be it. With every breath, each of us inhales the toxic mist of diabolical disorientation permeating the post-conciliar world. No one is safe. As Abp. Lefebvre said, we’re all liberals today; it’s simply a matter of degree. Ferrara and Matt were heroes of mine. Now, incrementally, they’re watering down, slowly being processed by the dread spirit of Vatican II. But how was their immunity against the toxic mist broken down? Battle fatigue? This would be understandable. They’ve been fighting for so long. A desire for respectability at last? This too would be understandable. Imagine wearing the black mark of disrepute (in the eyes of the world) for decades. Only the hardiest souls can bear it unto the end. With each passing day, the teaching on the fewness of the saved seems truer and truer. The God of Surprises changed his mind. God asks for the Consecration of Russia by the Pope and the entire world’s bishops in union with him. Pope John Paul II told God that this would be too difficult, and that a world consecration without mentioning Russia or any of the world’s bishops participating was the most generous response he could offer under the present circumstances. God might have also secretly been asking that of him! Thank you, Louie. You have written exactly what I have been thinking. I thought for sure that Michael Matt would defend the SSPX from Cardinal Burke’s assault. I was very much disappointed that he gave Burke a “big pass” on this. However, on second thought, it should be Bishop Fellay, and not Michael Matt, who should stand up to defend the Society and his priests. I’m not expecting this any time soon as +Fellay has proven to be very weak. Let’s hope and pray that a new Superior General in 2018 will put the SSPX back on track to fight Modernist perverted Rome without any thoughts of reconciliation. If Fellay did come forward in this regard, I will be very happy to know about this. Does anyone have any info? In one of John Vennari’s talks available on CD, he refers to the consecration of Russia (or the world?) performed by Pius XII. Although it did not fulfill what was requested at Fatima, our Lady said she accepted it, and that because of it, some temporal favor would occur. I think the temporal favor was the end of WWII, but I’ll have to check on that. The point is, it is possible that a consecration be accepted by Heaven even if it does not satisfy what was requested at Fatima. Saying it has been “accepted,” and saying it fulfills what has been requested at Fatima, are not synonymous. I’m till looking for the quote about Pius XII’s consecration, but I just ran across a statement from John Vennari that is relevant. In his CD, “Our Lady of Fatima and the New World Order, he said “there’s no doubt” that John Paul II’s 1984 consecration of the world has been a great source of grace for the world, but that because it did not meet the specific requests of Fatima, it did not bring about promised conversion of Russia and era of Peace. This shows that, like Cardinal Burke, J. Vennari believed John Paul II’s 1984 consecration was “accepted by heaven,’ even though it did not fulfill the requests of Fatima. Sister Lucy said the same about Pius XII’s consecration. The point is, there is no contradiction in saying Our Lady accepted the 1984 consecration of the World, while at the same time saying it did not meet the conditions requested at Fatima. It makes sense to me, JPeters. You could compare it to indulgences. If one aims to gain a plenary indulgence but fails to meet all the requirements to gain it, he still can gain a partial indulgence. So why wouldn’t making a consecration, even if not exactly as requested, also be of benefit? My guess is we’ll have to suffer a major chastisement before the bishops in union with the pope will fulfill Our Lady’s request properly. According to Sister Lucy, this consecration was indeed “accepted by heaven” (which is why heaven responded) even though it did not meet the specific requirement of Fatima. So, there is no contradiction between saying that John Paul II’s 1984 consecration of the world was accepted by heaven, while at the same time saying it did not fulfill the requests of our Lady of Fatima. I pray that Michael and Chris read this and he did this. There are so many good Catholics of Goodwill who continue to the long two coats of their own making. We all want someone to follow because we were built that way by God, but following false Shepherds is counterproductive. I pray also that the scales fall off the eyes of many about Pope Benedict XVI. He had such problematic and non Catholic theology. It either matters, or it does not matter. Catholics need to make up their minds. We need to remember that the principle of Vatican II was, primarily, the exercise of inversion through obfuscation. Always, in an evil ideology, a tiny bit of Truth is used to promote an untruth. When I watch Cardinal Burke speaking out of both sides of his mouth and then being promoted by the likes of Michael and Chris, I shake my head. Yes, we all need to work together and nobody is asking someone to denounce the person; but in all honesty, we must be consistent. If Catholic media want to engage in Vatican II doublespeak, they should not promote themselves as traditional./, But instead, “transitional*. I pray that Michael and Chris read this and heed this. There are so many good Catholics of good will who continue to follow cults of their own making. We all want someone to follow because we were built that way by God, but following false shepherds is counterproductive. I pray also that the scales fall off the eyes of many about Pope Benedict XVI. He had such problematic and non Catholic theology. It either matters, or it does not matter. Catholics need to make up their minds. We need to remember that the active principle of Vatican II is the exercise of inversion through obfuscation. Always, in an evil ideology, a tiny bit of Truth is used to promote an untruth. You see Cradle Convert, an human person cannot both hold the True Catholic Faith and not hold the True Catholic Faith, at the same time, and under the same respect as the true Catholic Faith, as that literally as actually places an affront to the law of non-contradiction. As he does not hold the true Catholic Faith, then he is outside the Church, where there is no salvation, deFide. If a man is outside the Church, he CANNOT be the Holy Roman Pontiff of the Church which Jesus the Christ established and prayed, such that Peter will NOT ever loose the Faith (Luke 22: 31,32). While you are correct about Fr. Josef Ratzinger as being an heretic, as that is what it means objectively to hold beliefs in opposition to the Faith, as he does and as you intone, by stating that he professes, “non-Catholic theology”, you are ontologically incorrect with certitude as you suggest that he is indeed an Holy Roman Pontiff of the Church established by the Son of God, as God Himself. The Truth is hard, as He is a divine Person and He commanded that He did not come to bring peace, rather the sword, as it is in division that the Truth springs forth and is plainly seen. Further, Michael Matt and Chris Ferrara have received and are receiving the “operation of error”, to believe the lie as the truth. Matt advances once and again, another metaphysically absurd diatribe at, “The Remnant”, which Louie has hyperlinked in his article, as he suggests that one Jorge from hell Bergoglio, as so called “Pope Francis”, holds and teaches heresy in Amoris Laetitia. To even suggest this, places an affront to the command of Jesus the Christ, Son of the Living God, Who Himself commanded that Peter will not ever lose the Faith and once converted, he was commanded to confirm thy brethren. 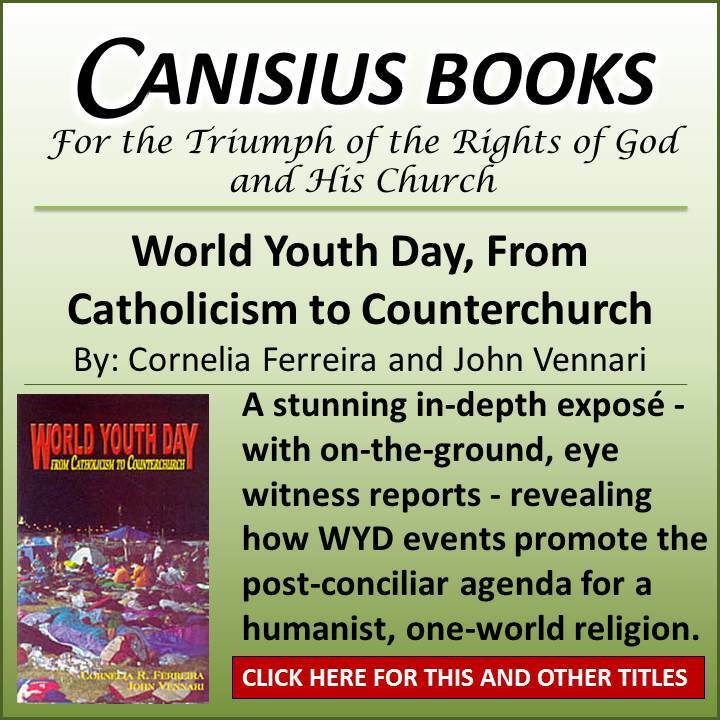 What this tells us with divine certitude, is that Jorge from hell is no more the Vicar of Christ than Josef Ratzinger, or any of the conciliar popes, as they all held and taught heresy. You see Cradle Convert, the Truth is hard, as we are indeed in the midst of the Great Apostasy, whereby the overwhelming majority of the Baptized in the world are receiving the “operation of error”, as that is what Saint Paul prophesied must happen in 2 Thess 2, as “he who now holdeth do hold, until he be taken out of the way”, and then comes the person of the Antichrist, by all the power and wonders allowed for by Satan in this time. Amen. Alleluia. I pray this helps. In caritas. I won’t celebrate Summorum Pontificum in any way because it was a subversive exercise to disenfranchise the Roman Liturgy as the “ordinary form” of the RCC and supplant it with the Novus Ordo. So too, BXVI’s desire to eventually merge the two, once again, Hegelian-style, into a new monstrosity. I will never commemorate or celebrate that document. Hmm. I posted using voice recognition and then edited, but both posts show up, and one sounds really idiotic. Maybe they both do LOL. Somebody, tell me how to delete an unwanted post. Louie, I have no doubt that the consecration has been done and accepted by Our Lady. Can’t you see that we live in an era of peace and that all the lost children have come back to the true faith and that Christ is king of all hearts. How blind of you, Louie! Matt and Chris are good men but they are afflicted with a strange blindness. Lets pray for them. Keep up the great work, Louie. Continue to be fearless. Era of peace? what planet are you living on, there has been no peace, war cropping up in different countries world wide, since the great war. Just because you may live in a so called peaceful nation does not mean the world is at peace. Go to the Middle East and ask the Christians over there how peaceful it is. If you can convince them you can certainly convince me. Meanwhile they are being butchered daily along with other ethnic groups. Just last week in one town 3000 Christians were slaughtered in Iraq, the bishop in that region announced quote ” soon there will be no more Christianity left in Iraq ” Have you seen the slaughter houses over there ? Go ask the Mexicans how it’s going in their country ? Have you not seen what’s happening in Mexico ? Go take a good hard look. Even in our own peaceful countries , the unborn are slaughtered on a daily basis. Where’s the peace? How can any one possibly think the Consecration has been done. if you don’t think “Atheistic Communism” is the national religion of the US than you are as blind as a bat. and in my opinion there neo traditionalist publications should be avoided. That is unless you want to watch there sorrowful step by step slide into Modernism. This article here is example of how far left the trad movement has gone. Again, it’s exactly how libs planned it to happen in this country with the liberals becoming more and more extremely liberal and “conservatives” compromising and moving more and more to the left. Yesterdays liberalism is todays conservatism. Now same strategy of Pope Francis and looks like it’s working. Him and and his buddies must be lol behind closed doors. In all honesty and I could be wrong but for what it’s worth at least since Pope Francis became Pope I do believe Father Gruner was leaning in this direction also. Wow. Wow. Wow, Louie, in so many lines you have written here. Crystal clear and piercing truth. You probably have tears in your eyes, too, when you think of Our Mother. God Bless you. Thank you. Every heart should be filled with with such love and devotion to Our Lady, Our Mother. You are a good son, and at the end of the day, that’s all that really matters. You are on a mission, man. Thanks be to God! The rest: The other group who are all in, are the group of people who cannot seem to let go of their faith in those who are supposed to be our shepherds. This group cannot, I believe,conceive of how devastating God’s plan may be, or how deserving mankind is for the current chastisement. This group has their own idea of God’s plan, and believes that God will work through certain channels they believe they should trust. They can’t let go of their trust in humans and underestimate the degree of evil that has consumed our world. Everyone Louie has brought to our attention, out of concern that souls may not be misled, appear to be “all in” and failing to face the gravity of what is happening, either through fear, or cowardice, or pride. That’s my assessment anyway. The ability to understand even a tiny amount, how good God is, and how undeserving we are of his mercy. How worthless we are without his grace and how much wrath we deserve for every offense, because of how great is our Lord. These things, we only receive an understanding of in a small degree, and only that with the gift of God’s grace…. It is an understanding no language can describe or properly characterize or explain. 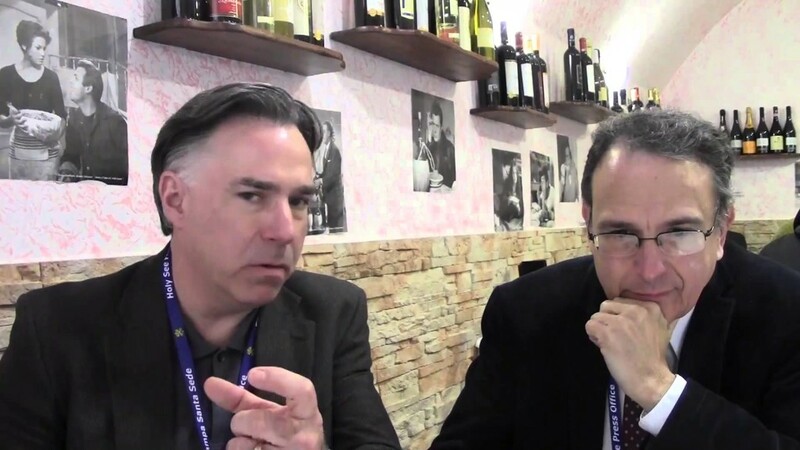 The thing is, Ferrara and Matt have never been apologists for Vatican II. They’ve never been “all in” on it. Quite the opposite. This is what makes their recent watering down all the more baffling. Just when the time for maximum militancy is called for, they’re instead seeking some sort of accord with the destroyers (destroyers defined as those, like Cdl. Burke, who support the revolution of Vatican II). It’s very odd, and justifying it by “prudential” considerations of “the big picture” doesn’t decrease this oddity. Is it because the SSPX has provided bad example since 2012? Alphonsus, from a sede point of view, Matt et al are all in on B2 since they give legitimacy to the whole NO sect that has its dogmatic origins in V2. As I have said earlier, every soul that purports that the post V2 sect is the Catholic Church must at some point deny a Truth of the Catholic Faith. Matt et al’s defense of Burke over the SSPX does not surprise me in the least. The facade of the conciliar church has always been crumbling despite the efforts of so many false apologists to prop it up. Those who “recognize” and advocate resistance, in their own way facilitate the propping up of the false facade. Even Ferrara calls it a facade, yet dutifully holds up his end. At least Ferrara and Matt know its a facade, unlike Burke. I just can’t understand why, knowing its a facade, do they continue propping it up? Is it soley because the idea of sedevacantism is too unacceptable to swallow? I believe it is simply the operation of error that allows one to believe a lie. Finally, I apologize for the poor grammar and punctuation. I did not have a chance to read through my posts before submitting them, hopefully my words were adequate enough to convey my point. And also, thank you Louie, for all of your efforts, I sincerely appreciate all that you do! I am not at all surprised after nearly 40 decades as an SSPX trad, and hearing the things Matt has said over the years, I know well that Michael Matt does not get it even now. I remember him taking to task those of us who, as Archbishop Lefebvre did, refer to the Immemorial Mass of All Time as the “True Mass” and how wrong we were to say it. He has not been a stalwart supporter of the SSPX, but only off and on. These guys have never seemed to grasp what +Lefebvre and +Castro de Mayer understood from the start. Vatican II and all its works and pomps and all the Modernists who love it, have labored for the destruction of the Church. I am an old character, but I would love to slap Matt on the face when he starts that whiny sing-song “Can’t everybody just get along?” He and his pals are always so anxious to grab onto anyone from the “Official Church” who even remotely looks conservative. Well, we’ve heard +Burke speak recently and he is no champion of tradition, either regarding the Mass or the SSPX. Any Mass works for him and the Society is in schism, so he says. What you write about Matt and his cadre of people as he, who claim to hold the One, True Faith and yet speak and write in utter contradiction to that same Faith rings true. In reality as Truth, there is not one iota of contradiction to be found in Christ’s True Church, as there can never be, as if there was, the gates of hell have prevailed. What we bear witness to is the truth that those who profess to hold the Catholic Faith, while at once they hold internal contradiction to that same Faith, are victims of the Luciferian deception which is writ large in our time. In that understanding, the gates of hell have prevailed against any of these who have received the Supernatural, “operation of error”, as Saint Paul teaches, to believe the lie as the Truth. This deception has reached its summa and summit in holding up a false church, the church of the Antichrist, which is all dressed up in the accidentals as the Catholic Church, while in reality as Truth, it is utterly and absolutely devoid of all things Catholic;–all things Jesus the Christ thus–which means it holds no valid Sacraments, as being cannot both be and not be, at the same time, and under the same respect. The “same respect” here, is the respect of that which is the True Church and Her valid as true Sacraments. The false church cannot both be “false” and “not be false”, at the same time. Thus, the false church cannot hold valid Sacraments, while at the same time the True Church established by the Son of God, for the sole purpose of our eternal salvation, holds the valid Sacraments and as commanded by Christ Jesus Himself. This is a metaphysical absurdity the likes of which indeed causes the very cosmos to shudder from its degree of utter deception. The false church, so called “conciliar church”, is indeed the church of the Antichrist, as it is Antichrist. These truths, a child at the age of reason and yet remaining innocent, would receive wholly. Jesus the Christ commanded that only those with the faith as a child, will enter the Kingdom of Heaven. In caritas. I forgot to say, Louie, you are the bomb! I agree with virtually everything you have written and said since I began following you. For a while, I was a little worried you were getting soft on a potential “deal” between the SSPX and Rome, but you seem to see it as it is. And that was pretty much it until Gorbachev came to power in 1985 with his perestroika. From 1989 there were statements from sources claiming that Sr Lucia agreed that the 1984 Consecration met Our Lady’s demands. So it was all presented as a benefit of hindsight with only Fr Gruner saying no, this is not the Consecration of Russia.